You might have come across different “How to make strawberry” tutorials. 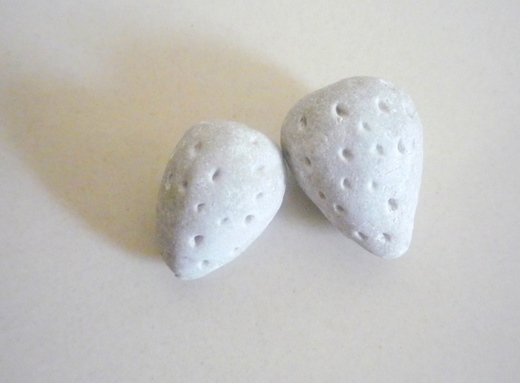 If you have the right blend of patience and interest you can easily make a strawberry from plaster of paris and chalk powder. Here we are going to make a strawberry from the above said materials. Hope you will enjoy this tutorial. What all you need to get started? The process is much simple! Make sure you have the following materials. Fabric paint(red, green, white) and touchwood. Mix Plaster of Paris and chalk powder in a bowl. Add the white adhesive and gently mix to obtain a paste. You may add 3 or 4 drops of water to get the soft mix. Be sure to use the mixture as soon as you make it. It is because when you add plaster of paris, it may get hardened soon. Take the paste, just roll it and keep it inside a plastic cover. It can be taken out according to the need. 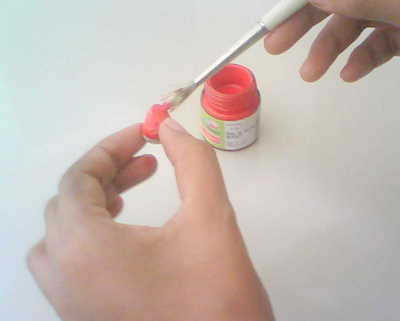 Now take some paste and make a ball with free hands. Then try to taper the end of the ball so that it looks like the shape of a strawberry. 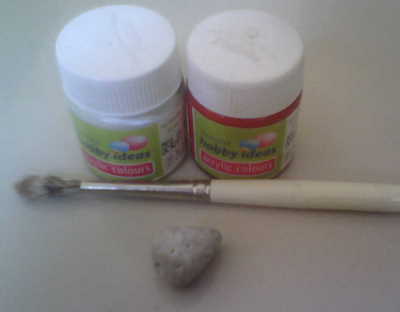 After the basic shape is made, take a tooth pick and simply make dots on the strawberry so that it looks realistic. Check out this figure. Here is what I have made. Now you need to make the base petals for the strawberry. Take little mixture and flatten it on your hands. Then try to cut out petals with the help of a sharp object or knife. Then attach the base petals to the already prepared strawberry using an adhesive. Keep it aside for 3 hours. Your strawberry is now ready for painting. Take the red fabric color and apply it on strawberry. After that paint the petals using green fabric colour. Look at this picture and try this one. When you are finished with the painting process, leave it aside for drying. After 3 hours, give a coat of touchwood so that it gains a glossy look. This one is really simple to try out. 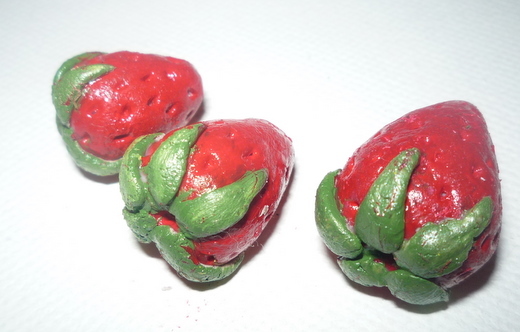 Make strawberries today itself and create realistic fruits! Thank you…!! Please feel free to share your ideas and craft works here!